'Hartlage Wine' Sweetshrub has amazing reddish maroon flowers with yellow centers starting in May and continuing to fall. 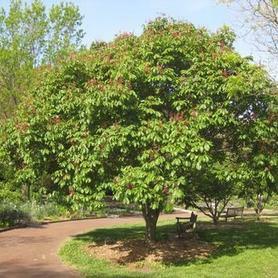 A very exciting Sweetshrub named after an extraordinary plantsman, Dr. J.C. Raulston, developed by Richard Hartlage and the JC Raulston Arboretum. 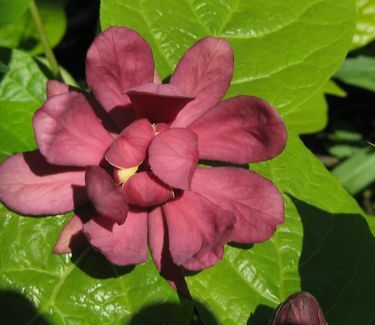 It used to sport my favorite plant name, xSinocalycalycanthus x raulstonii.